Shopaholics in south east Northumberland are being given the chance to win a prize through a new loyalty card scheme. 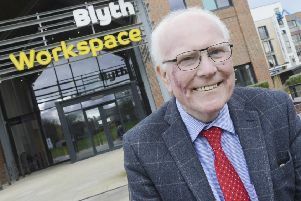 The initiative, introduced at the Keel Row shopping centre in Blyth, is designed to encourage more shoppers into the mall. The card, which can be collected in any of the retailers within the centre, has six boxes that will be stamped every time a purchase is made. Once a shopper has completed their card with six stamps they drop it off at the Centre Management suite where they will then be entered into a prize draw for the chance to bag themselves £100 to spend in the shopping centre. A winner will be drawn every six months, with the first one on the September 1. Centre manager Callum Reid said: “The launch of the Keel Row shopping centre loyalty card has come from our desire to reward our repeat customers and give something back to the local community. It is thought that more than a quarter of shoppers regularly use loyalty cards and discount coupons. Shoppers can enter as many times as they like increasing their chances of scooping the prize. Visit www.keelrow.co.uk for more details.